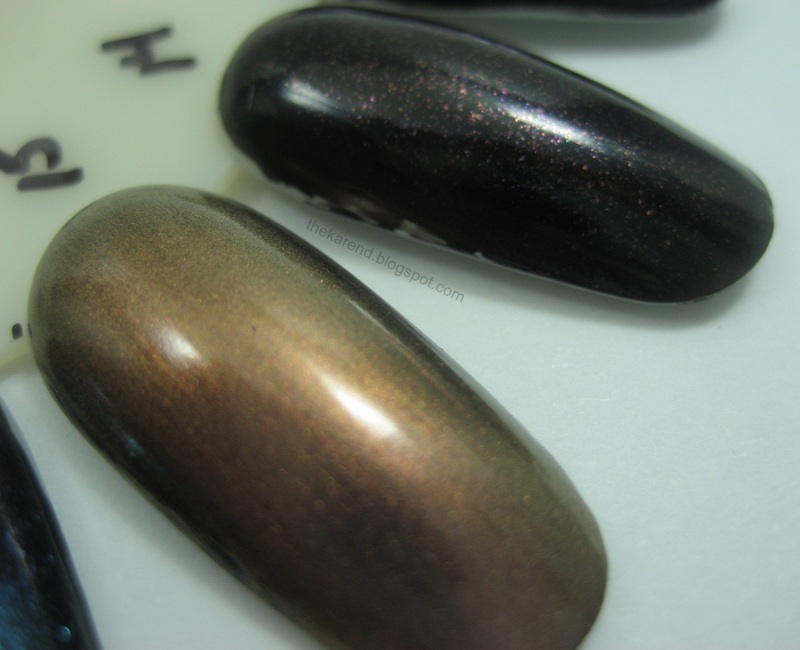 Today for Nail Wheel Wednesday I have layering topcoats on their own and over black. 11 through 20. 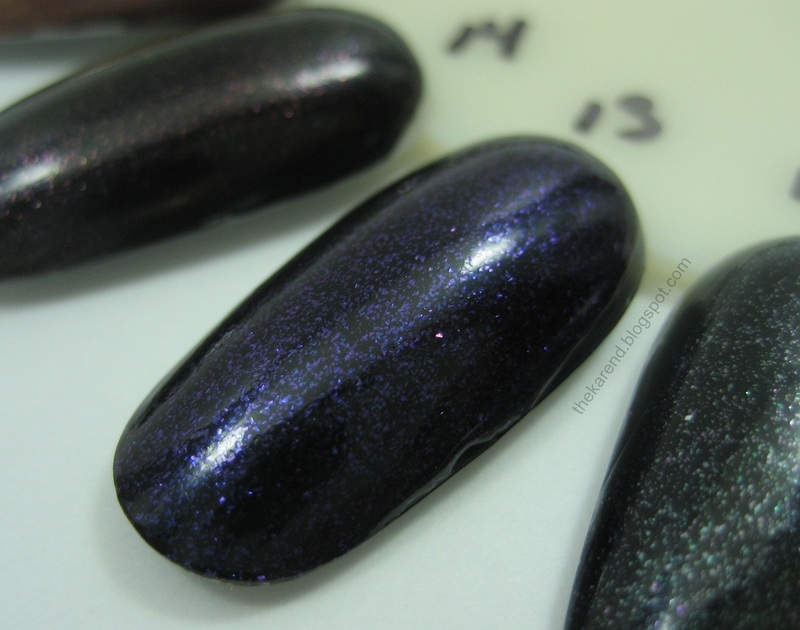 Same order as above, two coats over black creme. American Thanksgiving is tomorrow, so I'll be taking a long weekend away from blogging to partake in holiday festivities. I have much to be thankful for, and hope those of you reading do, too, whether you're celebrating this weekend or not. P.S. I know some of you already have found me there, but I don't think I ever linked it here: I'm on Instagram as thekarend. 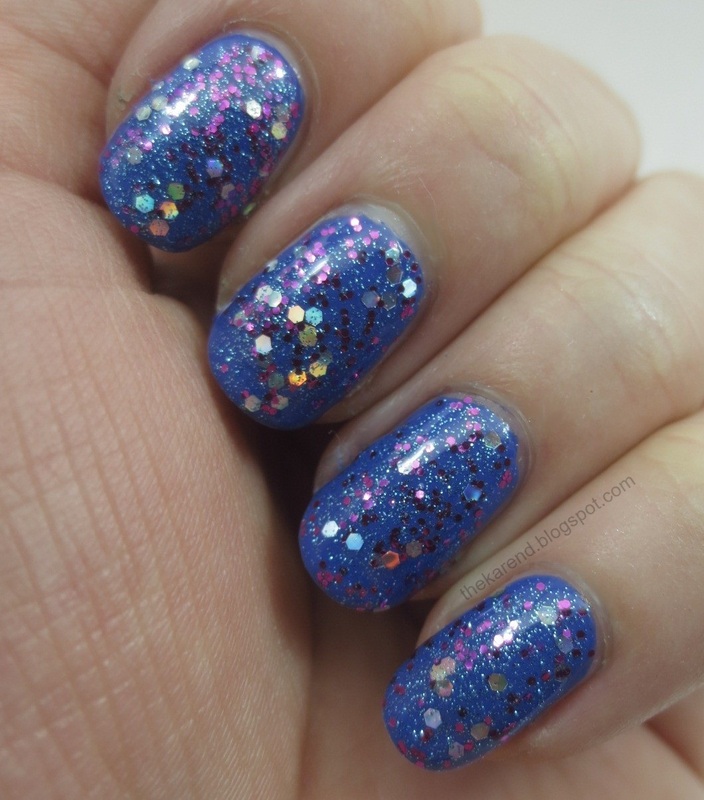 So far I've mostly used it to post a photo whenever I do a blog post, but once in a while I'll pop something else in there, like the closeup of the Sally Hansen Big Matte Top Coat the minute I found it or the bar my mom and I had lunch in the other month. 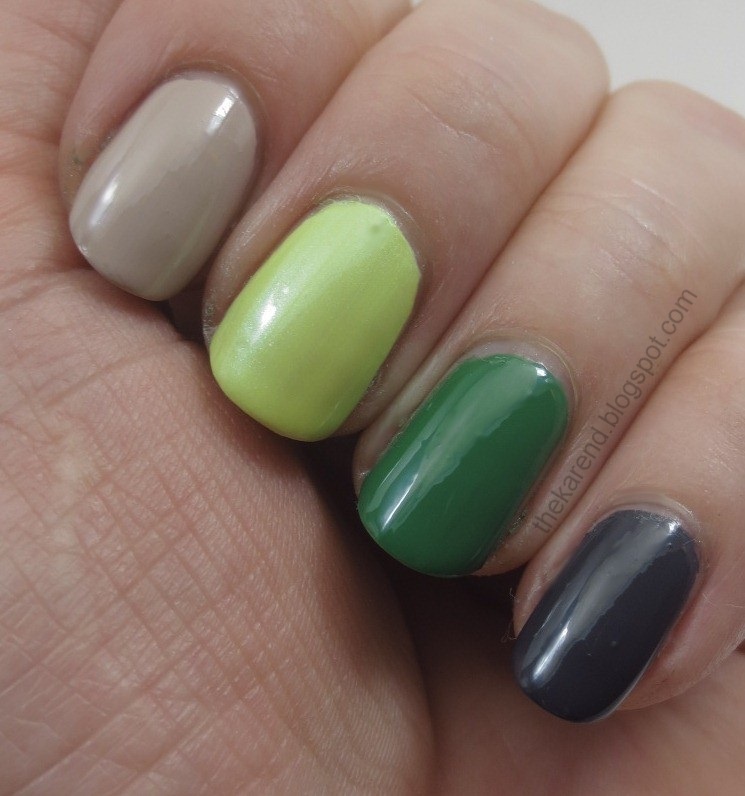 My desire to collect matte topcoats continues unabated. Today I've got the most recent eight (yes, eight, and yes, that's a lot) to join my stash going up against some favorites from past installments of this ongoing series. The first quartet to take the stage consists of Nicole by OPI Matte Top Coat (purchased at CVS), OPI Matte Top Coat (one of our returning champions), Sally Hansen Big Matte Top Coat (purchased at Meijer from the new Nail Art Display), and Formula X for Sephora (purchased, not surprisingly, from Sephora). 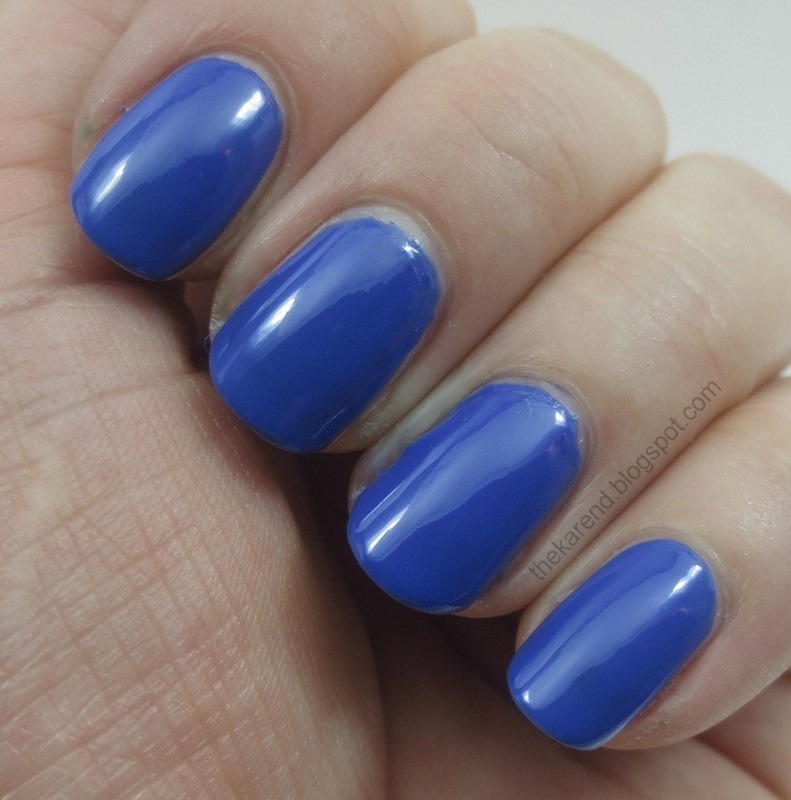 The Nicole by OPI ($7.99 for .5 oz.) 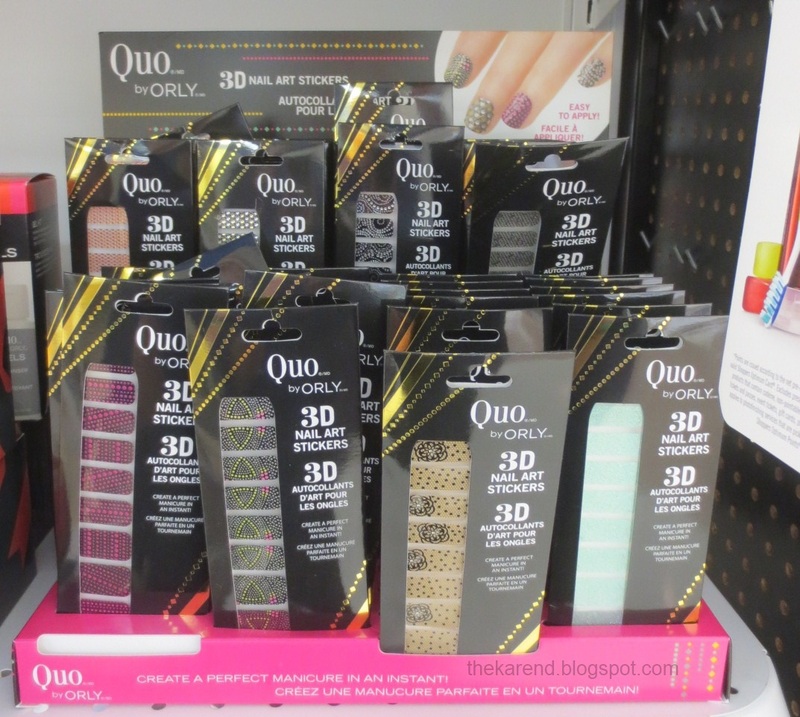 appears to be just the same as the OPI ($9 for .5 oz. 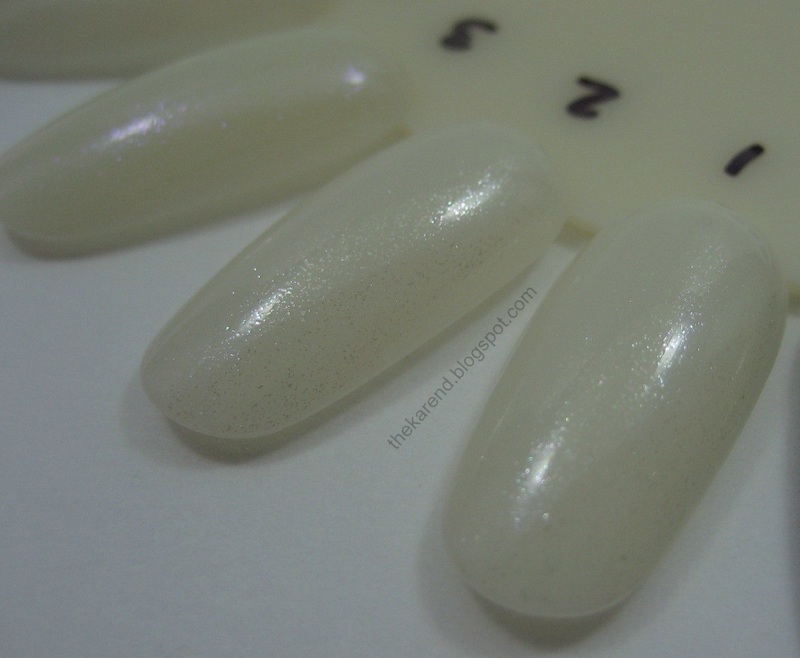 ), which is good, as I really like the OPI. 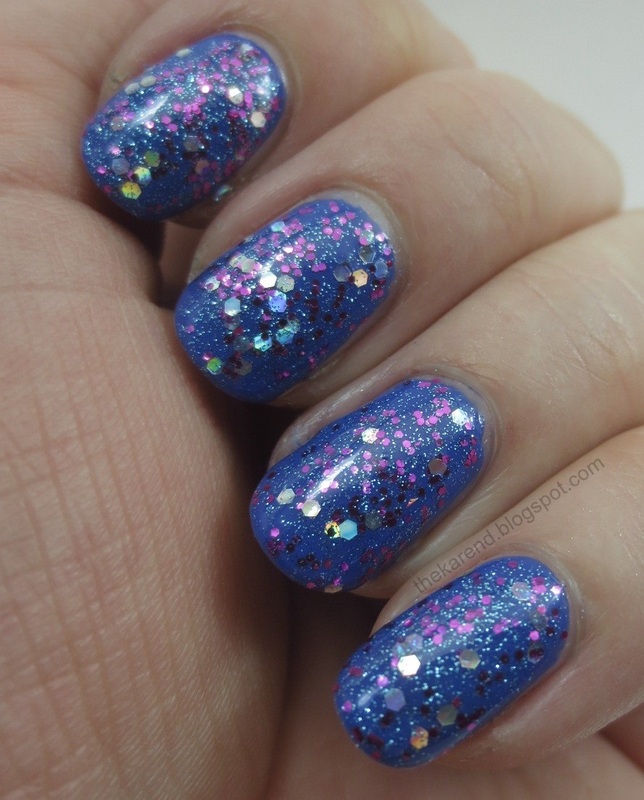 The Sally Hansen (around $5 or $6, I think, for .4 oz.) holds up very well against the first two as far as matteness and application. The Formula X for Sephora ($12.50) is just a tiny touch less matte than the other three. This was my first time trying anything from Formula X; I was happy to find that the chunky outer cap lifts off. 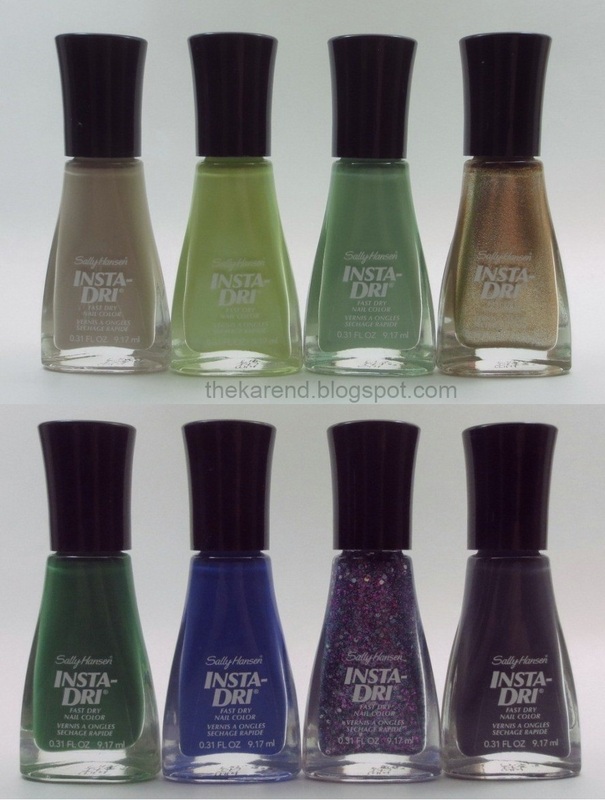 The Sally Hansen is the best value in this group; I don't remember exactly what I paid, but I know it was at least a couple dollars less than any of the others (it is a slightly smaller bottle, true: .4 oz). I carried over the Nicole and OPI to the next set, where they were joined by newcomers Deborah Lippmann Flat Top (I think this has been around a while but I just got from Beauty Brands recently) and Dolce & Gabbana Matte Nail Coat (from Sephora). I have to say I was disappointed by the two high end toppers. 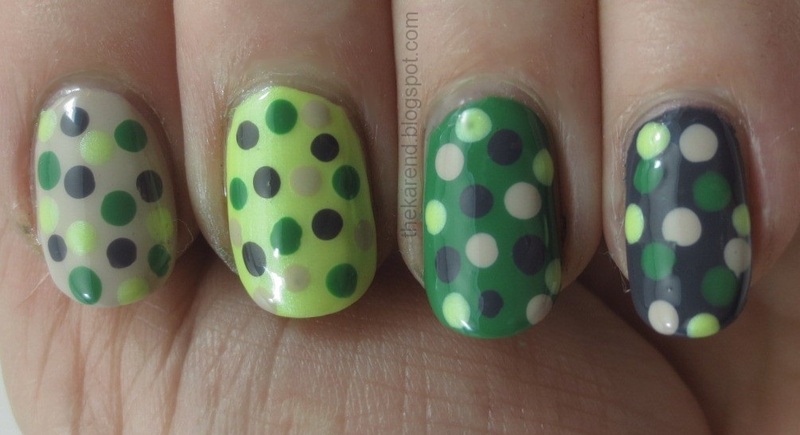 Neither one matched the NOPI/OPI as far as matteness, and neither applied as smoothly, either. 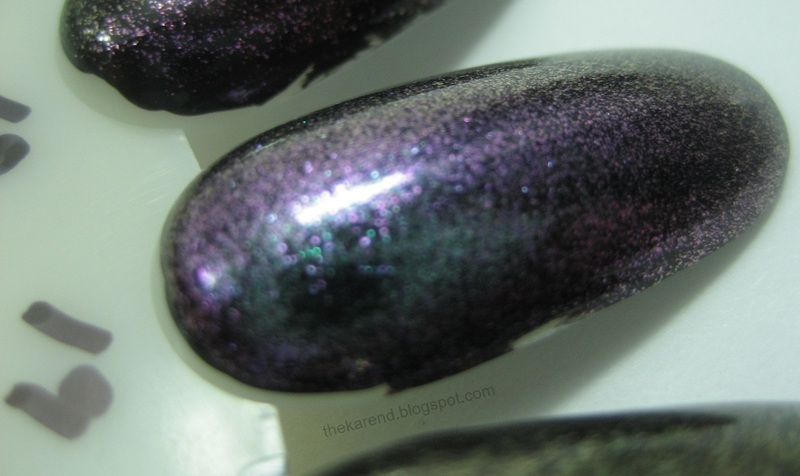 The Lippmann (retail price $20 for .5 oz.) was a bit more matte than the D&G ($24 for .37 oz.). This was my first time touching a D&G bottle; that gold cap slides off to reveal a ridged black plastic one. 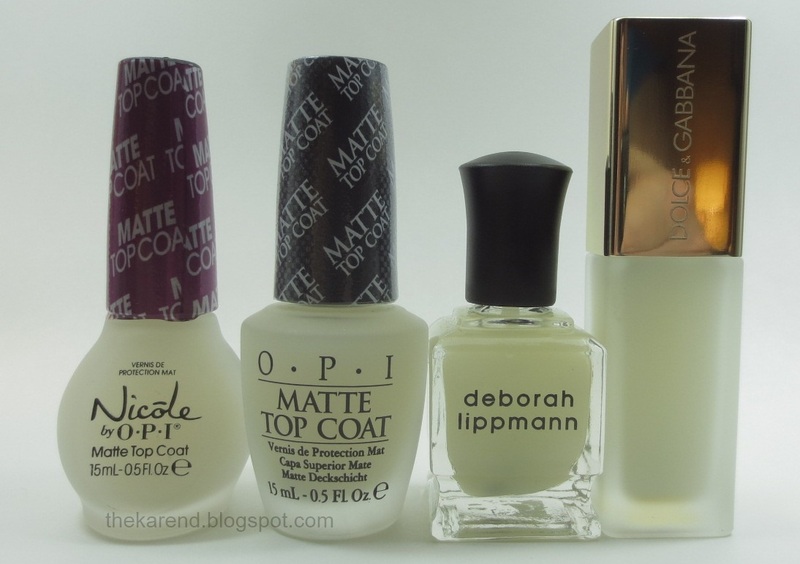 It's definitely quality packaging, but if you want truly matte nails, I'd pick a different topcoat. 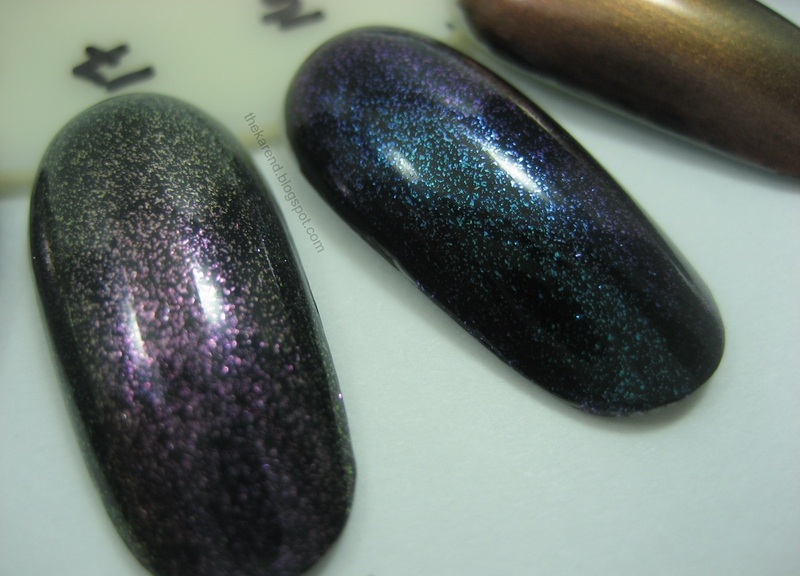 Next up, it's Nails Inc. Westminster Bridge Matte Effect Top Coat (from Sephora), OPI (to provide our standard of matteness), Nina Ultra Pro Matte Topcoat (bought at Sally Beauty), and Illamasqua Matte Top Coat (from Sephora). 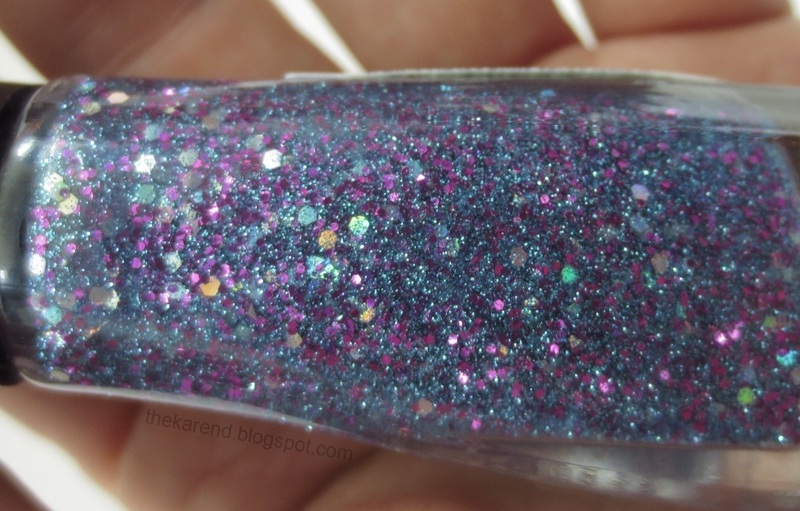 The Nails Inc. ($10 for .33 oz.) is more of a wax/satin finish than anything I'd call matte. The Nina Ultra Pro ($3.99 for .5 oz.) is nicely matte, but I had trouble getting it to apply smoothly; I blame the brush, which is very wide and a bit stiff. The Illamasqua ($14 for .5 oz,) is also nicely matte and applied nicely. 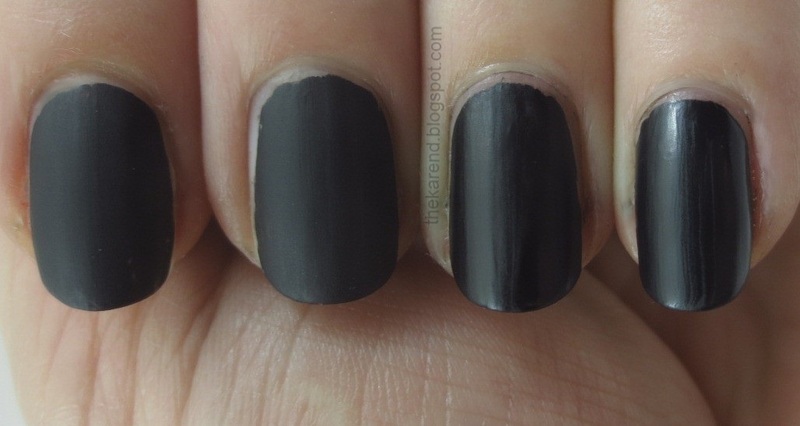 It's not $5 more matte than the OPI, though. I know I said I had eight new matte toppers to share, and we've now seen all eight, yet I am not quite done. At the same time as I picked up the Nina Ultra Pro Matte Topcoat, I got Nina Ultra Pro Black Vinyl, which I understood was a matte black polish. So I wanted to try that and figured I'd give the Nina matte topper another go to see if could wrangle the brush better this time. 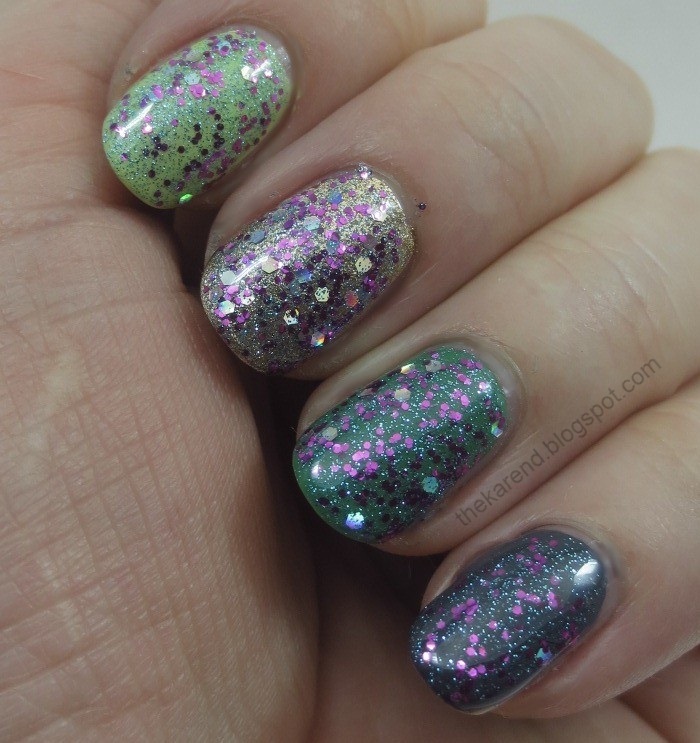 I pulled out the Sally Girl limited edition matte topcoat for comparison's sake, and filled out the quartet with the Nails Inc., thinking maybe I just hadn't let it dry long enough the first time or something. Black Vinyl dries to a satin/wax/ finish. 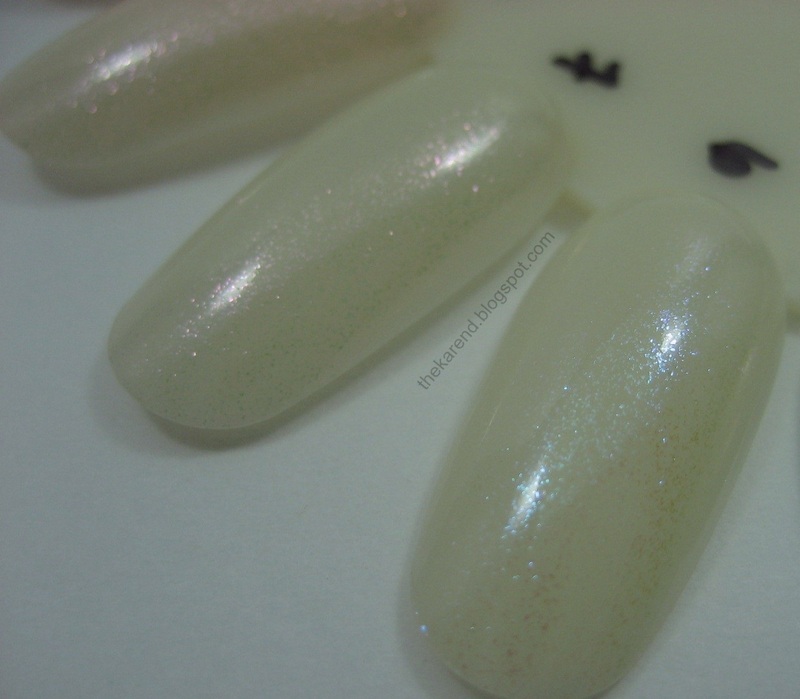 I did better with the Nina topper this time; it looks like it's the same as the Sally Girl as far as finish. 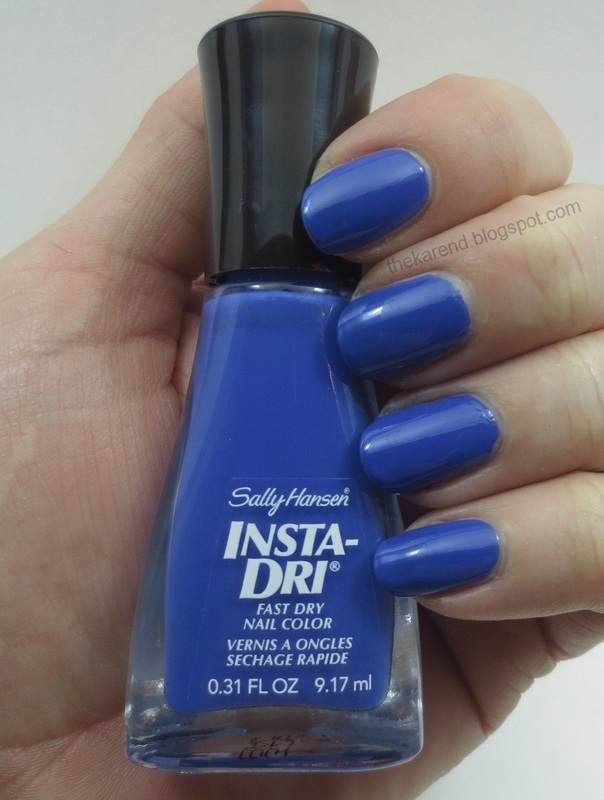 The Nails Inc. was no more matte this time, and I waited extra long for it to dry (obviously the Nina and Sally Girl had plenty of time to dry matte). 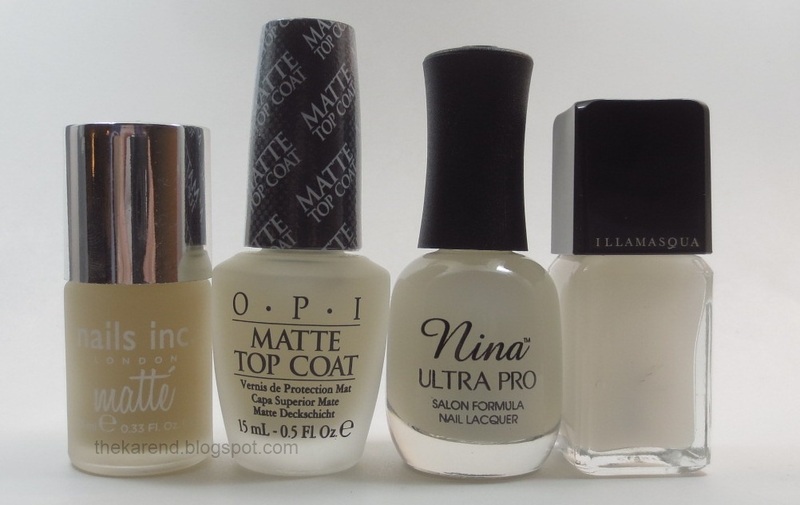 Of the eight new to me matte topcoats in this post, the Nina Ultra Pro and Sally Hansen provide the most matte for your money. Despite living less than an hour from Canada, I hadn't been over there in a long time until this past Saturday morning, when I headed south (yes, south; to get from Detroit to Windsor, Ontario you head south; those particular Canadians are not in fact my "neighbors to the north") to meet up with mrsrexy (a.k.a. 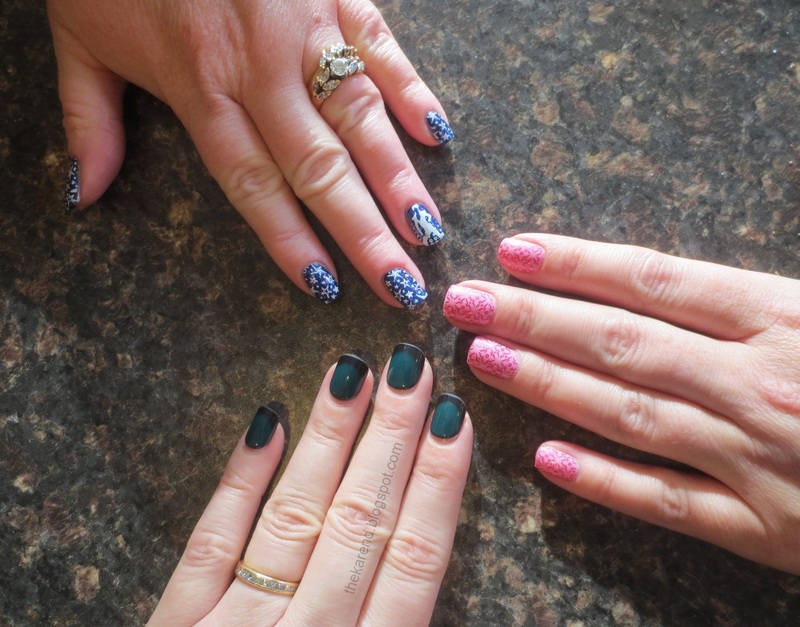 the Canadian Nail Fanatic) and nailXchange (whose blog is on hiatus, more's the pity). 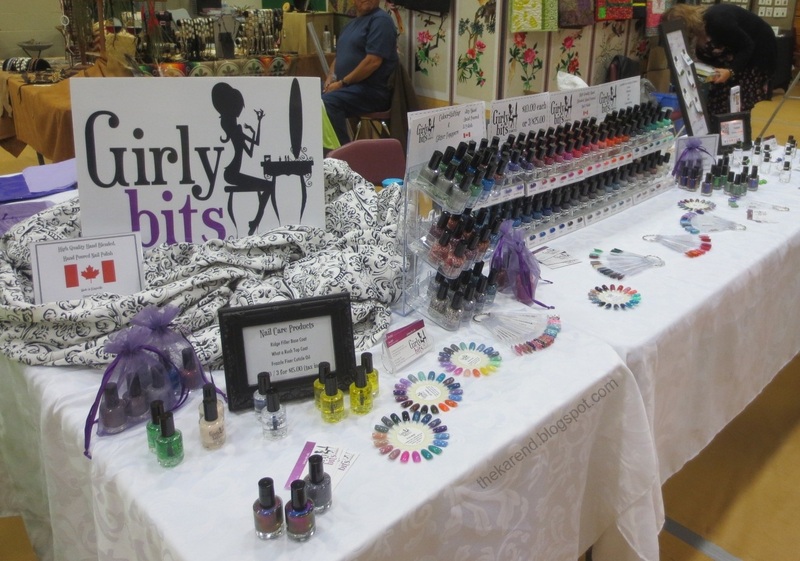 We converged on Leamington for a craft show at which there would be nail polish, Girly Bits, to be specific. 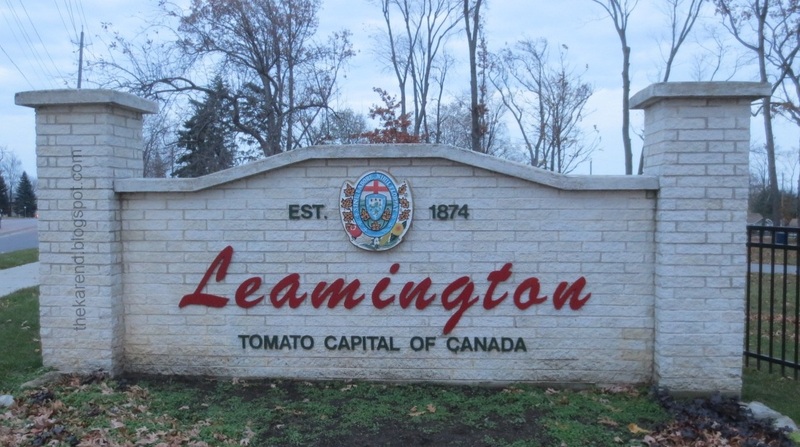 I arrived a little early and in the process of looking for an ATM drove by the big Heinz plant and the welcome to Leamington sign which proclaimed it as the Tomato Capital of Canada. 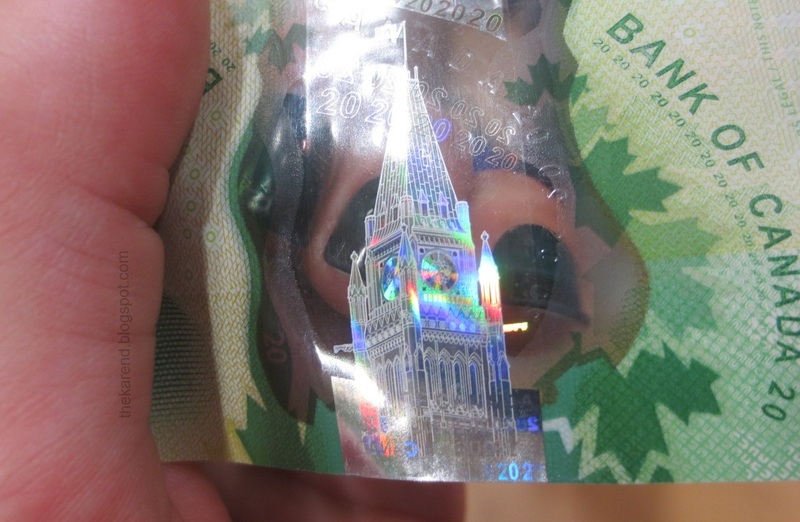 I did find an ATM and was inordinately fascinated by the 20 dollar bills which came out of it—I hadn't seen, much less touched, these updated bills with the holographic queen and tower on a embedded plastic ribbon. 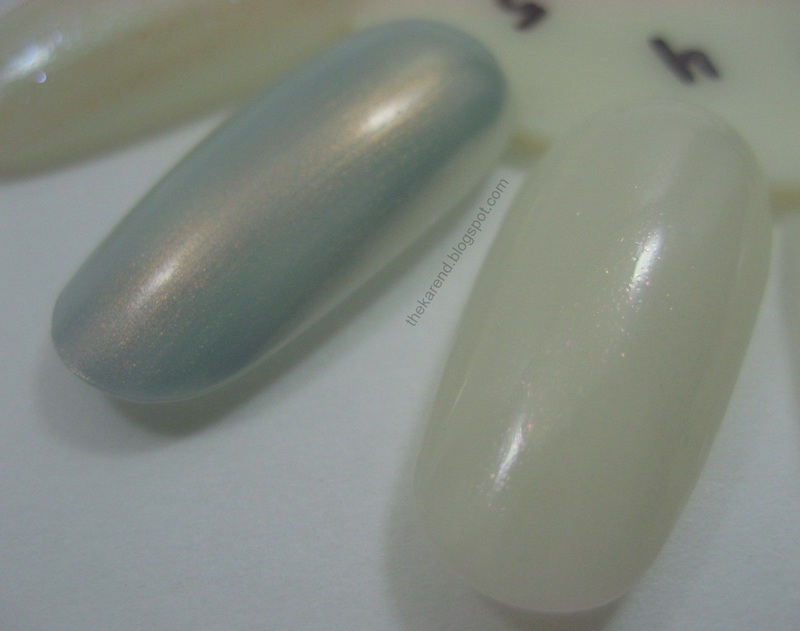 Money you can see your nails through that's also got holo accents? Sign me up! The craft show was at a community center which also houses an ice rink, so I got to watch part of a youth hockey game before the other ladies arrived—that felt very Canadian. When mrsrexy and nailXchange got there we did a quick tour of the show floor and found not only Girly Bits but also a Konad booth in amongst the knitting and quilting and jewelry and foodstuffs and decorative home accessories and other crafty items. We then left to go eat lunch; we could have eaten there at the rec center but the selection wasn't that great and besides, leaving the building meant we could go to the beauty supply in town, where they had some Pupa displays. I don't think I've ever seen a Pupa display in person before. The two I got photos of were called Jeans n' Roses and 50s Dream. Then we went to lunch and after eating took the mandatory nail photo. You might recognize my green and black Maybelline Nail Falsies in the lower left. 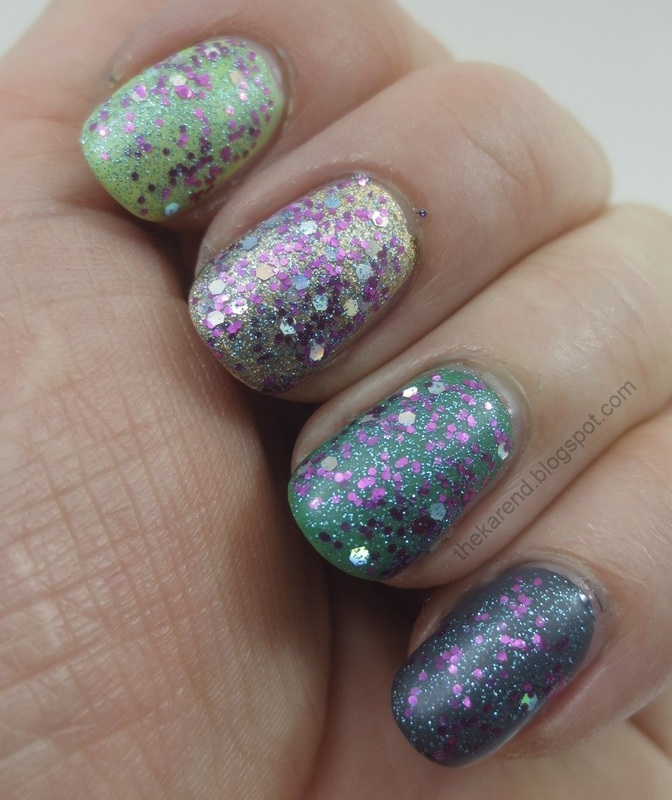 nailXchange was sporting the pink stamped look on the right, and mrsrexy had a glittery blue stamped with white (the glitter is not showing here but trust me it was very sparkly in person). My main credit card had been declined at the beauty supply store (yeah, I bought some of those Pupa colors) but that didn't concern me since that bank often shuts me off when I leave home and I'd forgotten to call them to tell them I'd be in Canada. During lunch I called and yes, they had blocked my account but I navigated the automated system and verified things and got the message that it was unblocked. I went to pay for lunch; it was blocked again. I called the bank again and spoke to a person this time. A rude person who told me they could not unblock it and were canceling my card and sending me a new one and when I questioned this, told me I needed to stop interrupting him. I hung up and paid cash for lunch. I called the bank back and spoke to a different person who tapped away on her keyboard and told me I was good to go. Just in case I was not, I hit another ATM on our way back to the show—more plastic holo queen money for me. Back at the show, I happily spent that cash on Girly Bits. It was so fun to be able to pick up the bottles and swatch sticks and nail wheels and ponder all the pretty colors before deciding which ones needed to come home with me. I didn't get anything at the Konad booth since I barely use the stamping stuff I already have but it was interesting to look at all the different products she had. I did get a couple things to take home to Mr. K and few non-polish things for me, too. All too soon the show was closing and we had to part ways, heading home in opposite directions. 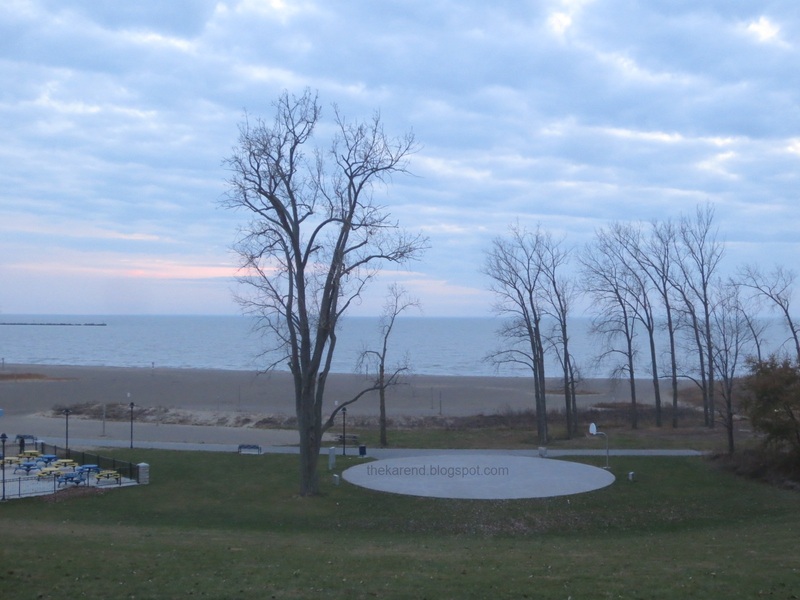 On my way out of town, I took a small detour to see Lake Erie—seemed silly to be a couple blocks away and not go look. It was the same theory that led me to stop at Shoppers Drug Mart in Windsor—I was driving right by, might as well stop. 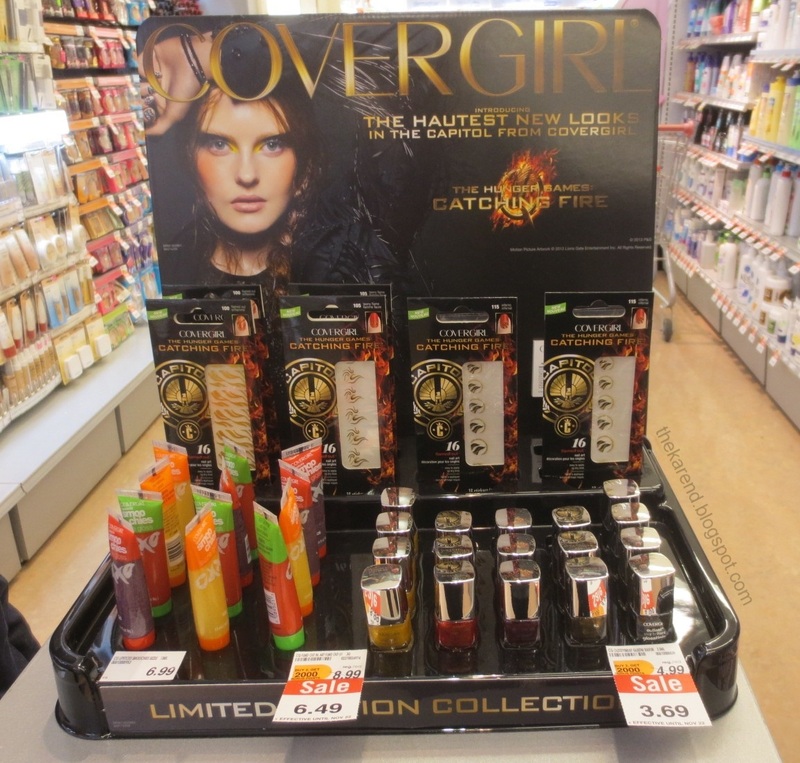 One of the first things I came across when I went in was a Cover Girl Hunger Games display that wasn't like any of the variations I'd seen in the U.S. This one had five of the polish colors and slots for four designs of nail stickers (of which three were there, including two I'd not seen before). 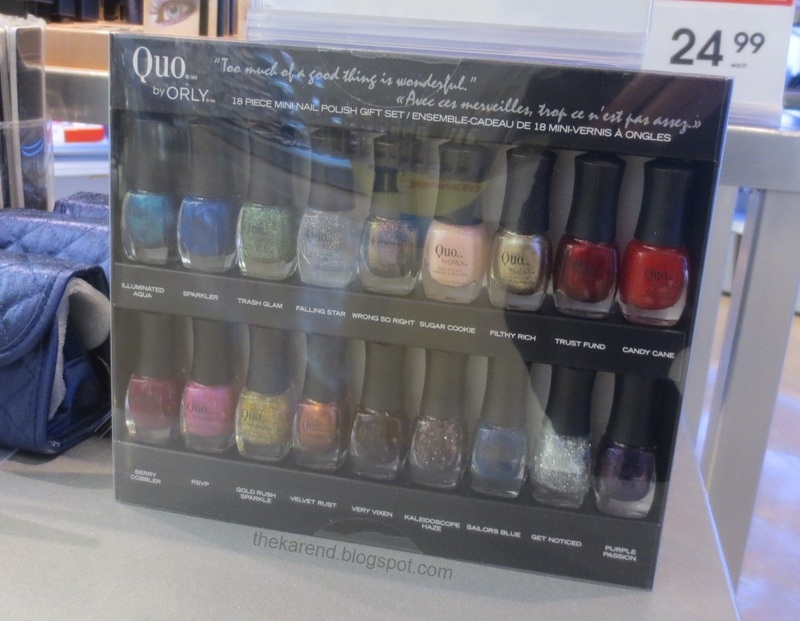 There were sets of adorable mini bottles of Quo by Orly; the 18 piece one shown below and two different 6 piece ones (Sugar, with pastels, and Spice, with bolder colors). At Rexall, I saw my first Kit brand display. 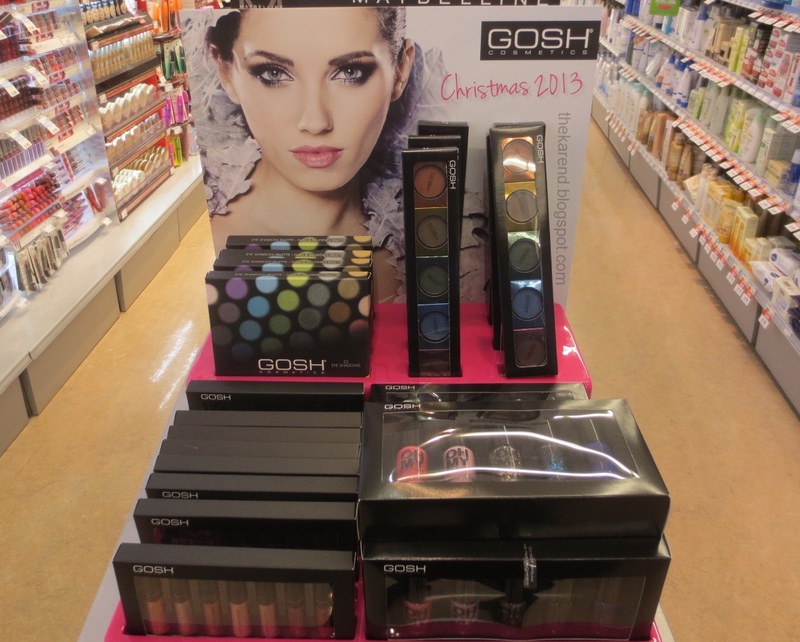 They also had a smaller display that oddly covered up most of the bottle where the color shows; I guess these are the shy shades. It was a fun day, and I hope it won't be too long before we get to do something similar again.